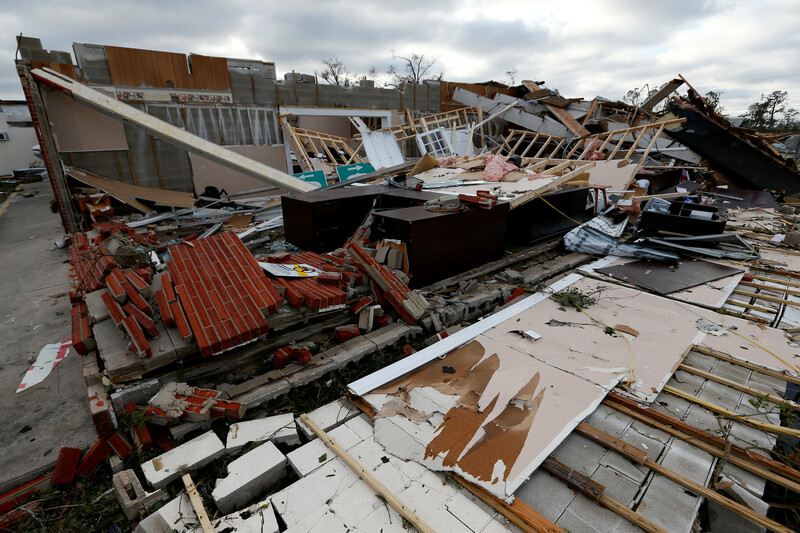 MEXICO BEACH, Fla. – Hurricane Michael’s violence was visible on Thursday in shattered Florida coastal towns, where rows of homes were ripped from foundations and roofs were peeled off schools by the near-record-force storm blamed for six deaths. 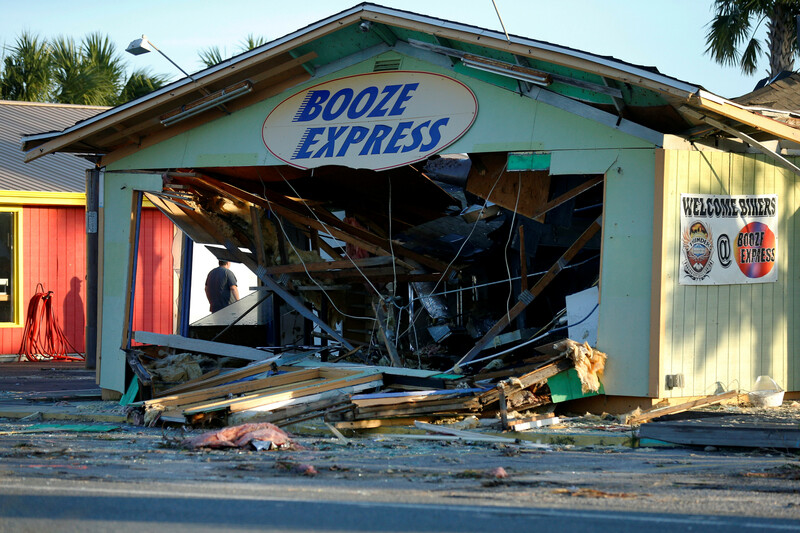 Michael smashed into Florida’s northwest coast near the small town of Mexico Beach on Wednesday with screeching 155 mile per hour (250 kilometre per hour) winds, pushing a wall of seawater inland. He and his partner Cheri Papineau, 50, pushed on their door for an hour in an effort to stop the storm surge bursting in as their four dogs sat on top of a bed floating through their home. Michael, the third most powerful hurricane ever to hit the U.S. mainland, weakened overnight to a tropical storm and pushed northeast on Thursday, bringing drenching rains to Georgia and the Carolinas, which are still recovering from Hurricane Florence last month. 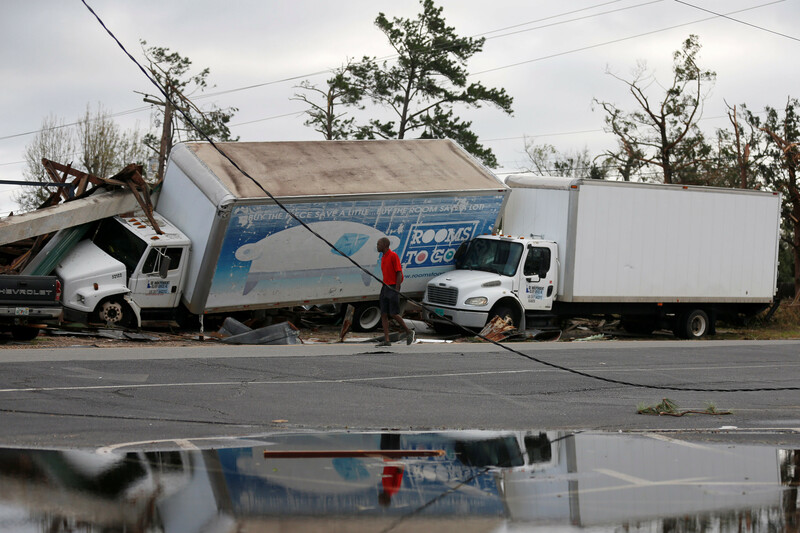 Michael killed at least six people in Florida, Georgia and North Carolina from falling trees and other hurricane-related incidents, officials and local media said. 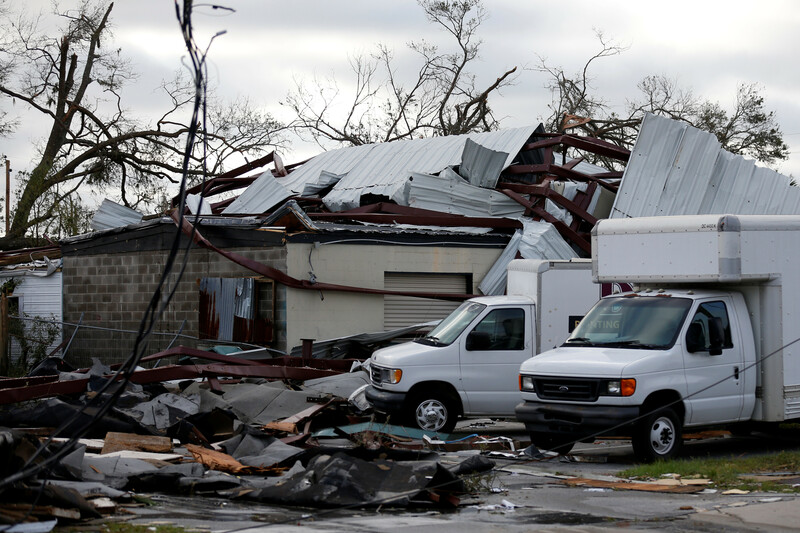 The injured in Florida were taken to hospitals in Tallahassee, with some hurt after the storm by breaking tree limbs and falls, said Allison Castillo, director of emergency services at the city’s Capital Regional Medical Center. Brock Long, head of the Federal Emergency Management Agency, called Mexico Beach, which has a population of about 1,200, “ground zero” for the hurricane damage. In Panama City, 20 miles (32 km) northwest of Mexico Beach, buildings were crushed and boats were scattered around. Michael left a trail of utility wires on roads, flattened tall pine trees and knocked a steeple from a church. Al Hancock, 45, who works on a tour boat, survived in Panama City with his wife and dog. “The roof fell in but we lived through it,” he said. At Jinks Middle School in Panama City, the storm tore off part of the gym roof and one wall, leaving the wooden floor covered in water. A year ago the school welcomed students and families displaced by Hurricane Maria in Puerto Rico. “The kids live nearby. The second floor of some apartments are just gone. 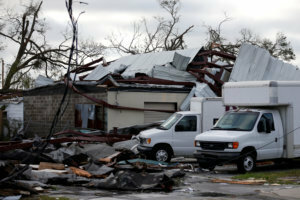 Roofs are gone,” Principal Britt Smith told CNN after talking by phone with some of those who did not evacuate. By 2 p.m. EDT (1600 GMT), the storm had pushed northeast to within 25 miles (40 km) of Greensboro, North Carolina, carrying 50-mph (85-kph) winds, the NHC said. Michael pummelled communities across the Panhandle and turned streets into roof-high waterways. Twenty miles (32 km) south of Mexico Beach, floodwaters were more than 7 feet (2.1 meters) deep near Apalachicola, a town of about 2,300 residents, hurricane centre chief Ken Graham said. Wind damage was also evident. “Our biggest thing is the downed lines and the downed trees and now this water main issue,” said Apalachicola Mayor Van Johnson, referring to a burst water main complicating efforts to restore power. 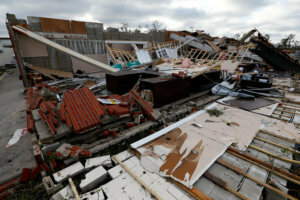 Brad Rippey, a meteorologist for the U.S. Agriculture Department, said Michael had severely damaged cotton, timber, pecan and peanuts, causing estimated liabilities as high as $1.9 billion and affecting up to 3.7 million crop acres (1.5 million hectares).